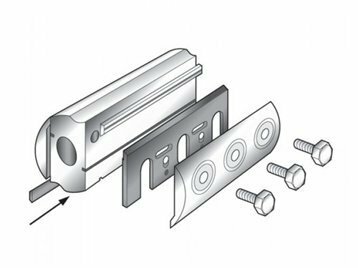 The conversion kit contains a pair of plates and allows fitment of the PB / 29 blades to the planer cutter block. - Fitting instructions are provided. For use with the following planers and PB/29 blades: - - F20, FU20. - Makita - M102, 1900, 1900B, 1901, 1125, 1100, 1923B, 1923BD.